We offer a 24 hour emergency service for all broken glass or glass replacement needs. Join our email list for news. Southern Glass is a family owned business that has been serving the southern suburbs of Adelaide for 30 years. Residential household glass repairs are usually required as a result of an accident of some sort, slamming doors in high winds, a fallen tree, an accident or, in unfortunate instances, a break-in. We can install any form and size of glazing for any type of retail outlet, large or small – low rise or high rise – and can provide a range of different glass types to suit specific business needs. We provide a 24-hour emergency glass repair or replacement service. Maximum 1 hour response time! Our fast, efficient and reliable qualified and experienced glaziers respond around the clock, any time of day or night to secure your premises and arrange for full repair and clean up to be carried out. We provide a 24 hour glass repair or replacement service. If you have a crack or notice any damage to a window or any glass structure such as a partition, it is very important that you have it assessed straight away. 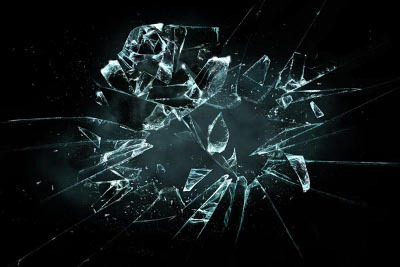 Damaged glass can be a serious health and safety risk or present an increased security risk. We supply and install beautiful painted glass splashbacks that can transform your kitchen adding a touch of colour and allowing you to stamp your personality on this important room. With a huge selection of colours from and a great range of tones and finishes you won’t be disappointed. From shower screen repairs to complete new installations, we can provide and install the glass to rejuvenate your bathroom. Whether it’s a framed or frameless shower screen, we have experienced installers to bring life to your bathroom with our contemporary design range. Southern Glass supply a huge range of glass doors for both homes and businesses. If you are having an extension built, replacing an old door or need new doors for your whole house – we can help. We can offer you any style and can even advise on the best match and quality to suit your needs. Thank you for visiting our website. For more information please visit our About Us page. Visit our Blog Page for regular news and updates. Please select a service type below. We cater for all reidential & commercial work. Call us for all your glass repairs or replacement needs.